When I first started knitting, I made an embarrassingly large number of hats (and mittens and cowls) that I couldn’t even wear when they were finished because the openings didn’t stretch wide enough for me to actually put them on. For a while, I was convinced that I was an utter failure at knitting, because, despite the fact that I had seemingly perfect tension everywhere else, it just kept happening. 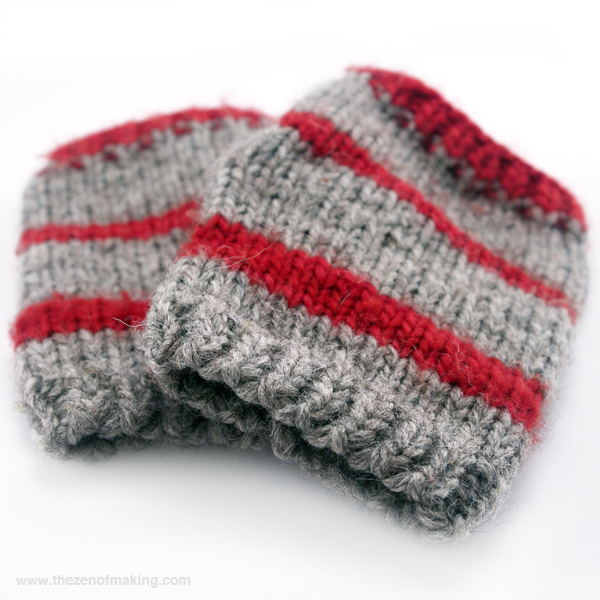 Eventually, of course, I made the discovery that there was more than one kind of bind off (!! ), and the results were life-changing. 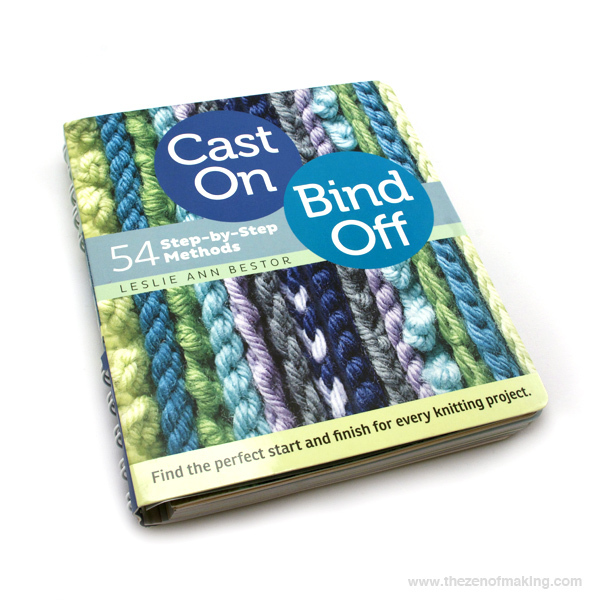 Equally life-changing: Receiving my review copy of Cast On, Bind Off: 54 Step-by-Step Methods , by Leslie Ann Bestor (this is an affiliate link), which quickly became the most frequently used book in my knitting reference library. 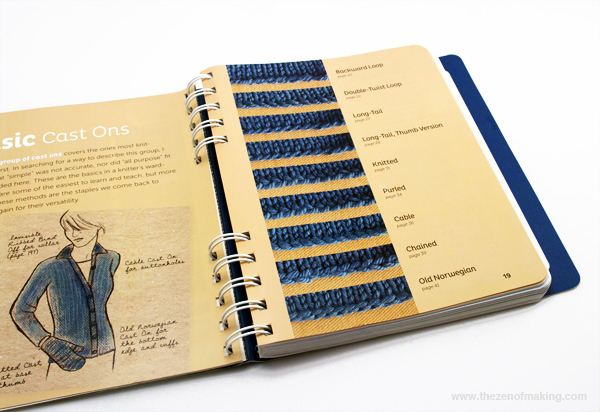 Discover the perfect beginning and ending for every knitting project! This one-of-a-kind reference presents more than 50 ways to cast on and bind off, creating edges that are tighter, looser, stretchier, lacier, longer-lasting, prettier—whatever your project needs, you’ll find it here. Detailed instructions for each technique are combined with step-by-step photography so that nothing is left to chance. 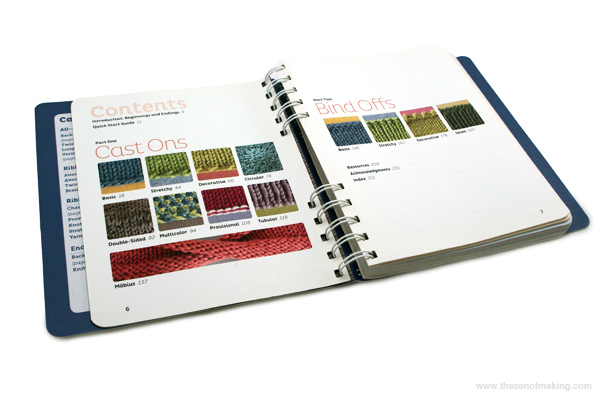 At-a-glance charts identify the right cast on or bind off for various types of knitting, as well as cast on/bind off pairs that work well together. 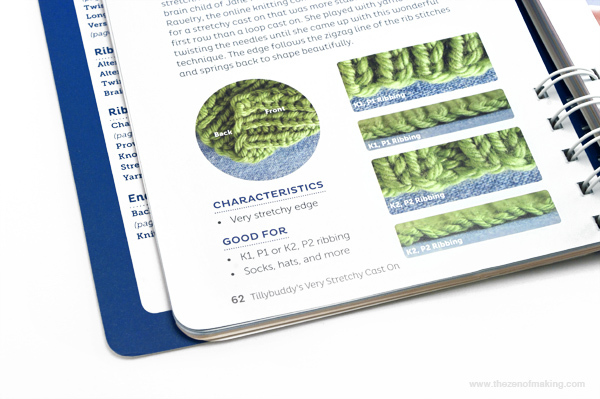 This indispensable guide will ensure that all of your knitting projects are polished and pleasing, from start to finish! 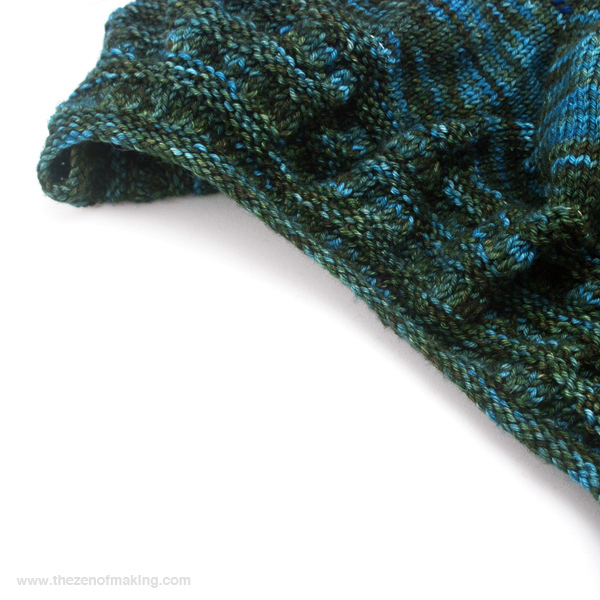 For me, two things make Cast On, Bind Off especially helpful: 1. the guide at the beginning of each cast on or bind off method that explains how you can expect the stitches to act and how the technique is generally used, and 2. the sheer quantity of detail photos. When it comes to making, I’m not a gal who likes surprises. With this book, I’m confident that I’m selecting a cast on/bind off method that’s appropriate for my project, and, thanks to the up-close photos, I can actually see how it’s going to look when I use it. This means that, when I know that more than one option could work with a given project, I can make an educated choice based on which method will best fit my aesthetics, knitting habits, or how the object/garment will be used. (Smart!) Bottom line: When you think about all the time you’re going to spend hand-knitting something special, making sure that you start and finish the project in a way that’s going to give you the very best results starts making a whole lot of sense. In my opinion, this book is simple, straight-forward tool for making that happen. 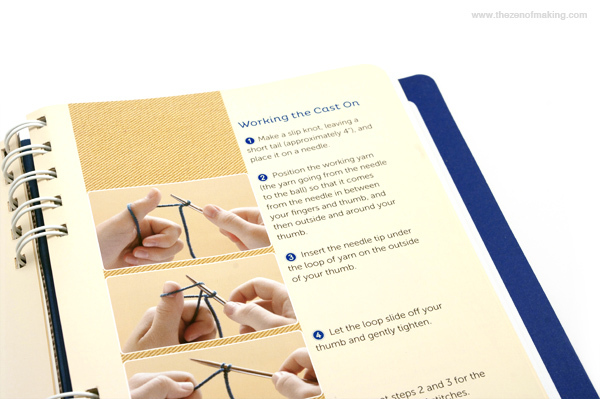 Here’s a look at how the technique instructions are presented in the book. As you can see, the author breaks each method down into individual movements, then pairs each movement with a photo that shows the position of the yarn and needles. Whether you’re visual learner or someone who’d rather follow written instructions (or a combination of the two), the techniques are clear and accessible. 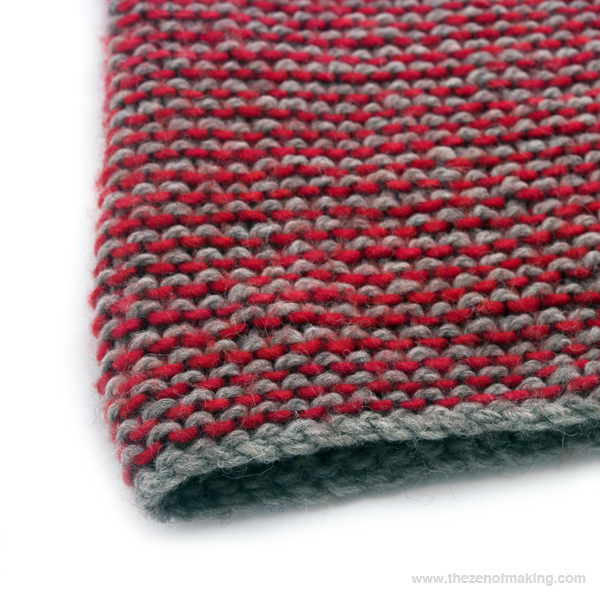 Cast on example: One of the first methods that I used from the book (and still one of my favorites for projects that don’t need a whole lot of stretch) was the knitted cast on. It’s gives edges a clean, tidy look that I really, really like. Cast on example: It took me a while to get the hang of this one (thank goodness for detail photos and practice), but I’m also really pleased with the sturdy cable cast on that I used for the (non-stretchy) neck of a top-down cardigan sweater. Just like we saw in the cast on methods, each bind off technique is introduced by a description of how the stitches will behave and the kinds of projects/situations for which the method would be a good choice. The instructions also include the same kinds of detailed step-by-step instructions with photo step-outs for each technique that were so helpful in the cast on section. Cast off example: This sweater cuff needed a bit more elasticity than a traditional bind off would provide, so I used the suspended bind off method to add some extra stretch. 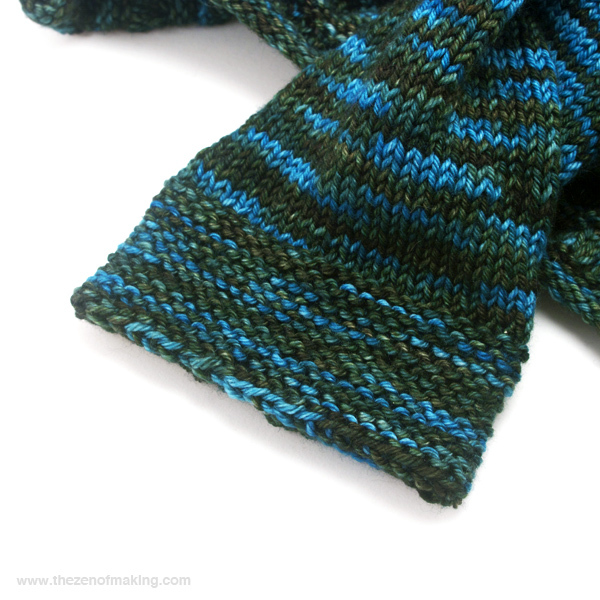 The only thing that seems to be missing from Cast On, Bind Off is a guide to binding off or casting on in pattern (say, when you’re working in ribbing). Though most experienced knitters will be able to figure out the technique intuitively or by playing around with swatches, working in pattern could definitely be a confusing concept to some beginners. I do wish the instructions would have noted when working in pattern would be a compatible option for a given method. 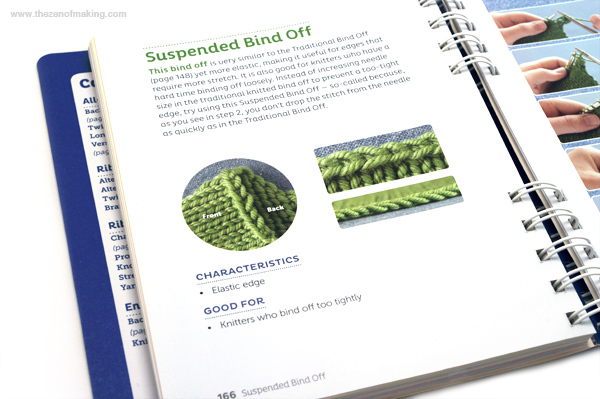 Cast On, Bind Off is a wonderful reference book, and I use it nearly every time I pull out my knitting needles. It’s great for both learning new techniques and quickly refreshing your memory before starting a new project, and I’d definitely recommend it to all of my knitter pals, beginners and seasoned pros. Sunday Snapshot: Sometimes My Cat Drawings Look Like Cats! Loved this review. Love to see that you clearly used this book – and for longer than 2 minutes!